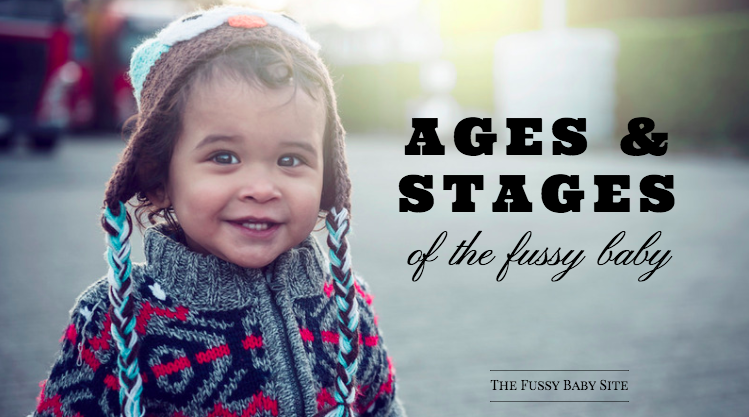 As I’ve been following the lives of fussy babies for years now (including my own 11 and 13 year old fussy babies), I’ve gotten to see how these littles ones grow and change over time. When Sammy was a baby, I would have given anything to have an idea of what to expect as each month (and even week) passed. Something to give me hope that things WOULD get easier. Or if they weren’t going to get easier, I suppose I wanted to know that, too. As I’ve mentioned before on the blog, it was when Sammy was 4 months old and STILL fussy that I started to realize that we were not simply dealing with ‘colic’. I had read Dr. Sears’ article on the high need baby, and a lightbulb went off for me: This wasn’t colic. This was just the way he was (at least for now). Although this realization invoked a period of grieving, it was also liberating. I wasn’t doing anything wrong. And there was nothing ‘wrong’ with my baby. I was finally able to stop constantly looking for answers…Is he overtired? Is he reacting to something I ate? Is there something medically wrong with him? And start focussing on how to live with him. And not only how to survive, but how to thrive, and how to adjust my life and my thinking to accept that this was who Sammy was. ‘Colic’ typically begins at 2-3 weeks of age (or 2-3 weeks adjusted age for preemies), and ends around 3-4 months. The official definition of colic is as follows: At least 3 hours of crying, 3 days a week, for 3 weeks or more. Your baby has periods of inconsolable crying, most often in the evening hours. During the day, he typically has periods of contentment, but come evening, all hell breaks loose. You may find yourself walking, hushing, soothing, and carrying until the wee hours of the morning. Colic gets better – if crying is due to temperament, it may persist. The good news is that if your baby’s crying began at 2-3 weeks of age, and typically occurs at a predictable time of day, your baby most likely has colic and will outgrow it by 3-4 months of age. If your baby is colicky, you can, most likely, stop reading now. If you’re looking for further help with getting through this stage (I mean, who isn’t?! ), I highly suggest reading and implementing the techniques outlined in The Happiest Baby on the Block . How Do I Know if it’s Colic or Temperament? This brings me to my next, very important, point. You may not like this, and there’s a chance I’m wrong, but I’ve seen this over and over again over the past 5 years. tend to be that way because of their temperament. This is not ALWAYS the case. However I’ve seen it happen enough times that I can say with great confidence that it is OFTEN the case. Now is the time to take a deep breath. Things will NOT always be like they are now. Just because your baby has a sensitive temperament does NOT mean your life is over. It doesn’t even mean your life will always be difficult. It just may be a bit…different than you expected. If your baby has passed the 4 month mark and is still fussy, or as I always thought of it, ‘high maintenance’, there’s a good chance she is high need. Obviously, this term is simply descriptive. It is not a medical term, and it doesn’t mean there’s anything wrong with your baby. It simply describes how babies of a certain temperament type behave as infants. Much as we know that introverts need time alone in order to recharge, we know that some babies (approximately 1 in 5) need more stimulation and interaction to remain calm, have difficulty falling into feeding and sleeping routines, and are just generally more sensitive. I like to think of these babies as passionate. Passionate about what they like, passionate about what they don’t like. Able to voice their concerns loudly, and the life of the party when they’re happy. Full of energy and life. Wondering if your baby is high need? HATES to be around people, noise and activity. Many, many parents I’ve spoken to report that their high need baby becomes easier and more able to self-soothe as they gain new skills and are able to become a little more independent. For instance, we noticed a huge improvement in Sammy’s fussiness the very day he learned to crawl. Many parents say that they notice improvements with each new milestone: Sitting, crawling, walking, talking, etc. We noticed the most significant improvements in Sammy’s fussiness at 6 weeks (at this point he started having periods of contentedness during the day), 3 months (he fussed most of the day instead of crying/screaming), and at 8.5 months (when he started crawling). 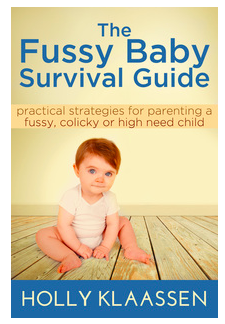 If you’re looking for more help at this stage, I recommend reading The Fussy Baby Book: Parenting Your High-Need Child From Birth to Age Five . While this book suggests that an attachment parenting approach will work best for high need babies, keep in mind that this isn’t the case for all high need babies; as always, do what works best for you and your child. I think of high need babies as tiny versions of the ‘spirited child’. When a baby is around 4-12 months, it feels too young to give them a label such as ‘spirited’. And yet, again, spirited is simply a way of describing a certain set of temperament traits. Have trouble with transitions such as diaper changes, getting dressed/undressed, getting into the carseat, turning off the TV or putting away a toy, etc. Have trouble with changes in routines, such as after an illness, a holiday, a visit from family, etc. For us, and I know for many other parents of spirited children, the ability to vocalize thoughts and feelings facilitated a huge change in our child’s behaviours. The more they are able to verbalize their frustrations, the less they need to act them out through crying, fussing or tantrums. *I have also noticed that many spirited children tend to demonstrate the above characteristics only when they are with close family members. Many of the parents of spirited children I have talked to report that their child behaves well (even above average) at daycare or school. If you’re looking for more help at this stage, I highly recommend reading Raising Your Spirited Child: A Guide for Parents Whose Child Is More Intense, Sensitive, Perceptive, Persistent, and Energetic . If your baby is ‘simply’ colicky, the first 2-3 weeks should be relatively calm. Your baby will likely sleep and feed much of the time, and be relatively content when awake. *You will want to consult with your physician to be sure there’s not something physiological going on, such as reflux or an allergy. If your baby has colic, you’ll start to notice an improvement in fussiness and crying around 3-4 months of age. The fussiness may gradually decrease, or it may end suddenly. If your baby is high need, the crying and fussiness will also likely begin to improve around 3-4 months of age. The fussiness will likely not disappear entirely, however the all-day inconsolable crying should end. You may notice that your baby simply needs a lot of attention, movement, and carrying in order to keep from fussing. You’ll also begin to notice how much fun your baby can be when she’s happy…her smile and laugh light up the room, and stranger may comment on how charming and happy she is (if only they knew what she was like at home!). If your baby had colic, he has very likely outgrown the crying and fussiness. He may still struggle with post-colic sleep issues – babies that are used to being carried, rocked or held while they fall asleep may need to learn to self-soothe at this point. If your baby is high need, you’ll likely be finding it difficult to establish feeding and sleeping routines at this stage. Life is likely MUCH easier than it was the first few months, however your little one can still be draining at times. When your baby is happy, EVERYONE is happy. She’s the life of the party. You’re finally beginning to understand why many parents actually report liking parenthood! But when she’s upset, watch out. She will let you know, long and loud. You’re becoming an expert at the art of distraction. You find keeping her busy and entertained whether with games, music, baths, outings, or walks keeps her mostly content. However she’s probably not that great at playing independently for more than a few minutes. You’ll likely see improvements in the fussiness at each new milestone: Sitting independently, crawling, walking, learning basic commands in sign language, or speaking his first few words. Life with your little one still may not be how you pictured parenthood, and the memories of the first few months still linger. But overall, life is getting easier, and you’re feeling connected and bonded with your baby. You’re figuring out strategies for enjoying life with your baby, and are learning to accept him as he is, instead of who you thought he would be. You’ve likely settled into your ‘new reality’, and life is feeling much more normal. This is the stage that differs greatly from child to child. Parents of spirited toddlers typically report tantrums starting early, sometimes as early as 15 months. Tantrums may be frequent and intense. While you may find your toddler is a picky eater and is slow to warm up to new foods, she has likely settled into a more predictable eating routine. She is likely very active and playful, but may still be struggling with night wakings (naps are probably a little more regular at this point). She may need some assistance learning how to sleep at this point. When she’s happy, she’s VERY happy and a joy to be around. She is quick to laugh, and is a little charmer. She may still have difficulty playing independently, and may need adult interaction in order to keep occupied. Transitions are not her friend: Giving her lots of warning before a transition is about to occur is helpful. Diaper changes, getting dressed or undressed, ending or starting a new activity may elicit cries of protest. Establishing a daily routine is important at this age so she knows what to expect throughout the day. As your child becomes more independent and more verbal, life is becoming much more manageable. The tantrums may be gone, or at least getting less frequent. Your child is really coming into his own: The more trying traits of the spirited personality are not being displayed as frequently, as he is beginning to learn how to deal with his intense emotions. He is likely still very sensitive. His feelings get hurt easily, and he feels thing intensely. He is likely still very active, intense, and persistent. Teachers or daycare providers may report that he is a joy to have around. That he listens well, gets along well with the other kids, and is quick to pick up new skills and abilities. They may even report that your child is above average in terms of intelligence or social skills. You can say at this point that you are HAPPY to have a SPIRITED CHILD! You thought this day would never come, but the memories of the first months are fading, and you feel lucky to have such a sensitive, passionate child. You have had to adapt a different, more flexible parenting style, but overall life is so much easier and you’re loving parenthood (most of the time). 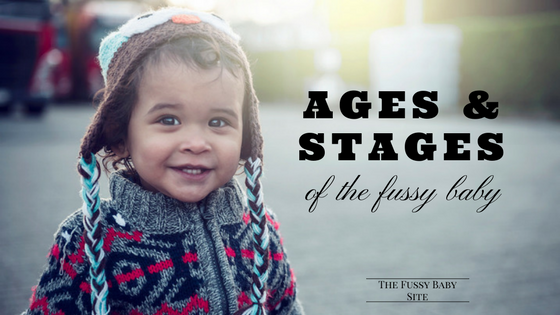 I hope the above timeline is helpful in terms of knowing what to expect at each age and stage with your fussy baby. I think it goes without saying that each child is unique, and the ages and behaviours discussed above may not apply to every child. However after talking with hundreds (thousands?) of parents of fussy babies, and having had 2 of my own, I’m confident that many spirited kids fall into the timeline above.